Learn how you can Do More for yourself, your community and your industry. The Community Fund helps bring resources to all Agriculture communities across Canada! 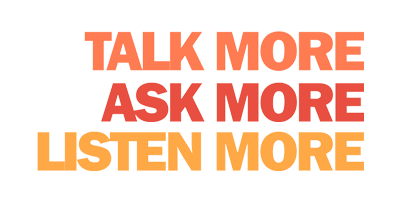 The Community Fund for Mental Health First Aid is a one year pilot project proudly presented by Farm Credit Canada and supported by other Do More Ag partners! The Community Fund is here to provide 12 - 14 agriculture communities across Canada with access to Mental Health First Aid Certification at no cost. We feel it is so important that agriculture communities across Canada begin learning the tools to begin supporting ourselves and one another through not only mental health crisis, but also to mental wellbeing. We thank all the communities that have applied. Successful applicant communities will be notified by November 1st. What is The Community Fund for Mental Health First Aid? The Community Fund for Mental Health First Aid is a one year pilot project where individuals can apply to have a 2 day certification course offered and covered in their agriculture community. Our goal in this first year is to fund 12 - 14 agriculture communities across Canada. Who can apply for The Community Fund? This application is to be completed by individuals who are interested in organizing a Community Mental Health First Aid Certification course in their agriculture community. The fund is open to all agriculture communities across Canada! How do I apply for The Community Fund? Please click the Apply Now button and complete the application form. You'll need to allow 30 days for the approval process. If I am approved, what do I need to do in order to organize a Mental Health First Aid Certification course in my community? In order for a course to be held in a community, we need a lead person to help organize the training, in partnership with Do More Ag. Do More Ag will partner with you to help you organize the training for your community. As the lead organizer, responsibilities include, but not limited to, confirming a facilitator, facility rental, catering coordination, attendance recruitment, collecting attendee names, providing feedback The Do More Ag Foundation, and submitting training expenses to Do More Ag for reimbursement. What does The Community Fund cover? The fund will cover all expenses incurred for the Mental Health First Aid certification, including facilitator costs, course materials, catering and room rental (if required). Catering and room rental costs will be capped. What languages is Mental Health First Aid available in? Mental Health First Aid is available in 8 languages, including English and French. You can learn more by visiting mhfa.ca. Community is integral in Canadian agriculture, and we wouldn't have that community without each and every one of us. Your support goes directly to supporting initiatives to create awareness about mental health in agriculture and break the stigma that currently exists while also building a community of support and resources for those affected.